The way to a smart city starts here. With VantagePoint® lighting control and the FlexNet® communication network, the light post has evolved. But smart lighting is really just the beginning. 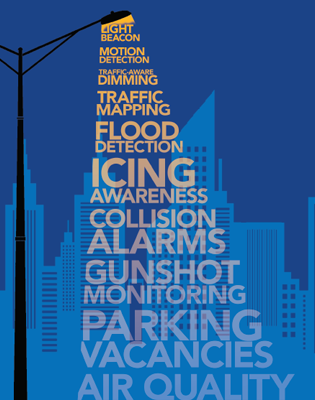 There’s no limit to the insight, control and connectivity your city can achieve. Making it shine brighter than ever before. Download the e-book to start your journey to a smarter city now. When you’re connected, nothing’s out of reach.